Mega Fortune is Net Entertainment’s most successful progressive jackpot pokie. This game is all about the lifestyles of the rich and famous. Featuring boats, golden rings, champagne, cigars, brandy, dollar clips, limousines, Rolexes and many more fantastically expensive items, you could have a slice of the finer things in life with this pokie. Three non-progressive jackpots are there to be won, if fortunate is smiling on you in Mega Fortune. 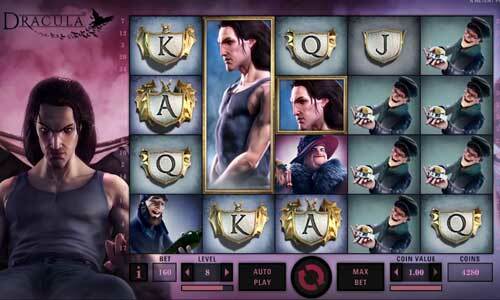 The pokie itself is a 5-reeled slot, which contains a total of 25 lines for you to wager on. Players will have total control over how they set up their bets in Mega Fortune, with players able to select coin values and paylines. Coin values of 0.01 up to 0.50 can be played over 4 betting levels, giving Mega Fortune a minimum bet of just 0.01 per line, per spin. At its costliest, the pokie game will cost you roughly 50.00 a spin, which is peanuts compared to what you can win. Wild symbol: The yacht is the Mega Fortune’s wild symbol. It is also its highest standing paying icon. Players can use wilds to replace all other symbols in the game, barring scatter and bonus icons. 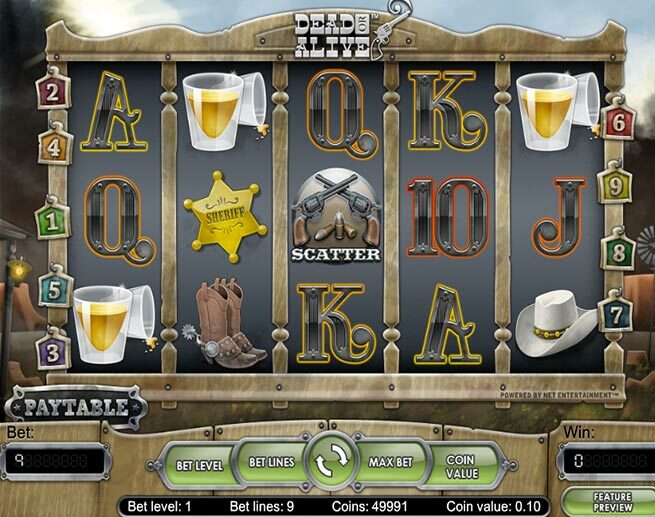 Scatter icon: The scatter in Mega Fortune is the champagne symbol. 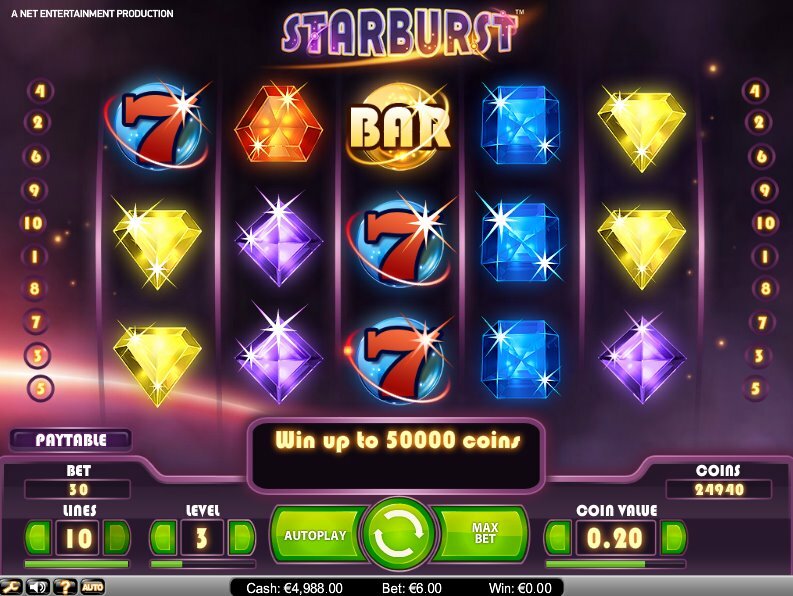 When 3 or more are located in any positions on the reels, the player will trigger a free spins bonus. Free spins bonus: Mega Fortune’s free spins bonus offers players multipliers of between 1x and 5x, whilst landing just 2 more scatters in this bonus will offer additional free games or multipliers. Progressive jackpots: A total of three progressive jackpots are present in Mega Fortune. The smallest of these is the Rapid Jackpot. A medium-sized progressive jackpot known as the Major Jackpot can also be won. The best jackpot is the Mega Jackpot, though, which can often be worth many millions in cash. So, you know that you need to land the Mega Jackpot in order to pick up the best paying prize. In all honestly, there is no way of knowing just how much the Mega Jackpot is going to be worth until you play the pokie. In the past, up to €17 million has been won with this game, often with just a single low stake spin. 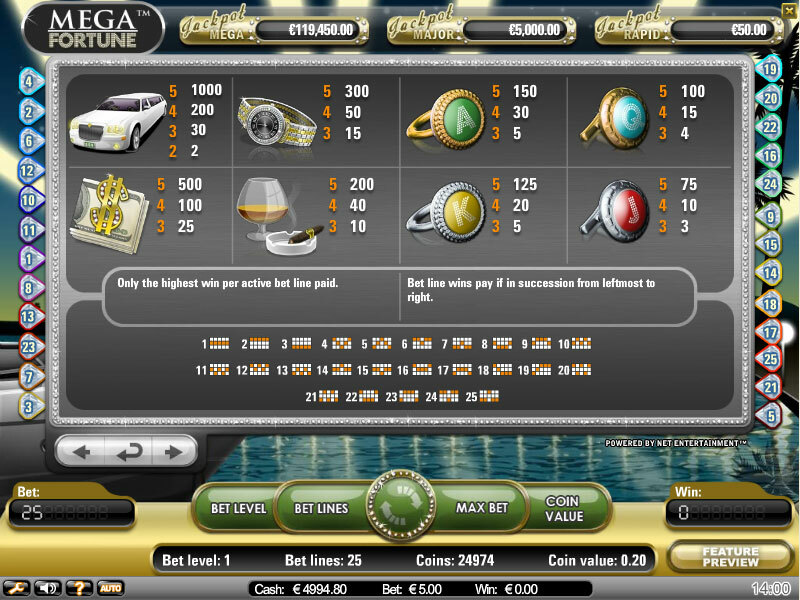 Players will need to line up three of bonus icons in succession on the reels, to trigger the progressive jackpot bonus. From there, spinning money wheels will either see them win cash prizes, or advance to the inner money wheels. The prizes get better the further into the wheels you go, with the top progressive being in the very center. Mega Fortune is one of the most famous progressive jackpot pokies on the net. How could it not be, when it has made so many people multi-millionaires? Even the Rapid Jackpot in this pokie is enough to see you win a fortune, since its wagers are so positively cheap. All in all, you can’t ask for more in a pokie machine game.